One of the most disappointing moments in life is opening up a bottle of wine and realizing that it’s spoiled. While it may seem trivial to consider such an occurrence as such a detrimental moment, you have to realize that we’re passionate about wine. Besides, it’s embarrassing to return a bad bottle of wine at a restaurant. And, it’s frustrating when you find that perfect bottle, only to come home and discover you wasted your money. Remember, we’re talking about wine that has a default flavor profile, not ranting about wines that taste horrible. So, how exactly does a bottle of wine go bad? There are several factors that can explain so. Perhaps the most common fault in wine is oxidation. This occurs when the wine is overexposed to oxygen, which is wine’s worst enemy. Oxidation will lead wine to lose it’s flavor, giving it a lifeless taste and resembling vinegar. Color will also be affected. White wines will appear darker and others will become cloudy. There are various environmental conditions that can ruin a bottle of wine. These can occur from the wine-making process to bottling to storage. Here’s a rundown of the most common environmental problems. Tainted cork, or TCA, occurs when mold grows on a chlorine bleached cork, or even in the barrel. 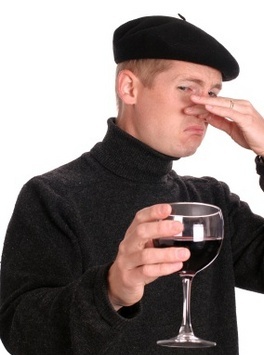 It creates an earthy, moldy and musty aroma that masks the wines natural fruit aromas. Heat exposure, or maderized, happens when the wine is literally cooked. This is a result of in-proper storage, meaning the wine has spent an excessive amount of time above 55°F.Lightstrike can be a problem when a bottle of wine has been overexposed to UV radiation. Ladybird taint can turn wine rancid when bugs, mostly beetles like ladybirds or Asian lady beetle, are harvested along with grapes. Brettanomyces, or simply Brett, is simply yeast spoilage. Since this thrives on wood products, like barrels, we’ll go ahead and say that this is an environmental condition. Once a winery has been infected, it’s difficult to get rid of, since it can transfer from wood to wood. The result is a wine that tastes like a barnyard or wet dog.